The S-Chassis platform was Nissan's way of producing a more affordable sports car, that was also widely available to the United States market. 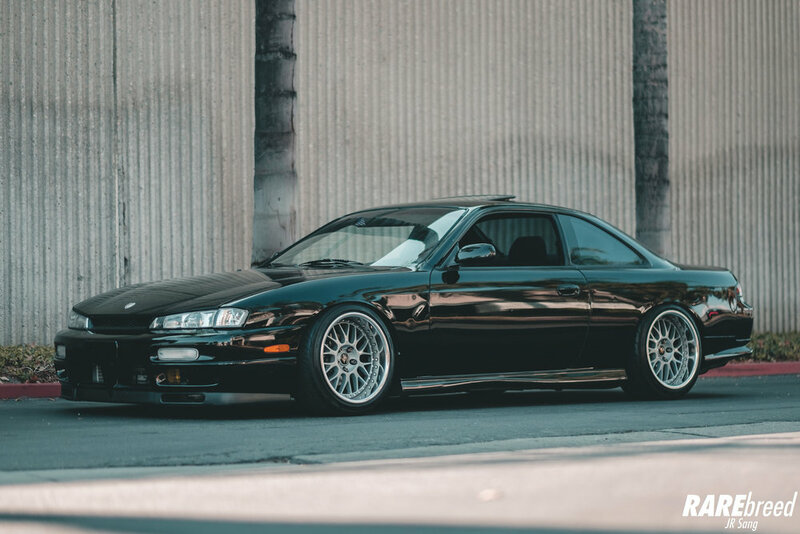 Named the Nissan 240SX, this platform reigned for 10 years from 1989 to 1999 appearing in 2 generations- the S13 and S14. Although extinct from production, the S-Chassis holds popular in the drifting community. Due to popular demand and its given rarity of a clean 240, a phenomenon known as the "drift tax" exists. Luckily for Jeff, he was able to get a highly sought after, original S14. Jeff was able to achieve this stance with Stance GR+ Coilovers, SPL Control Arms, and a high end set of Work VSXX. A Kouki front end makes the front end so aggressive. Good to see that there are still some clean Kouki's rolling around! A Nardi Steering Wheels ties up the overall simplicity of the interior. 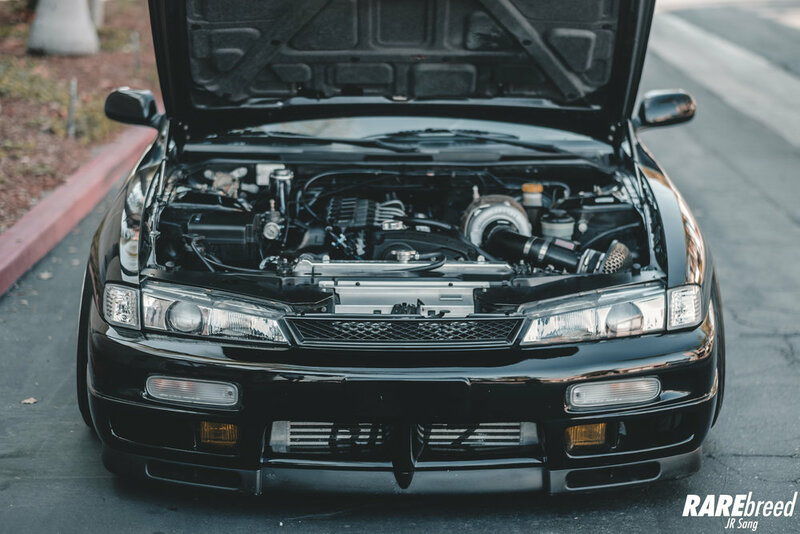 Follow Jeff and his S14 on Instagram! 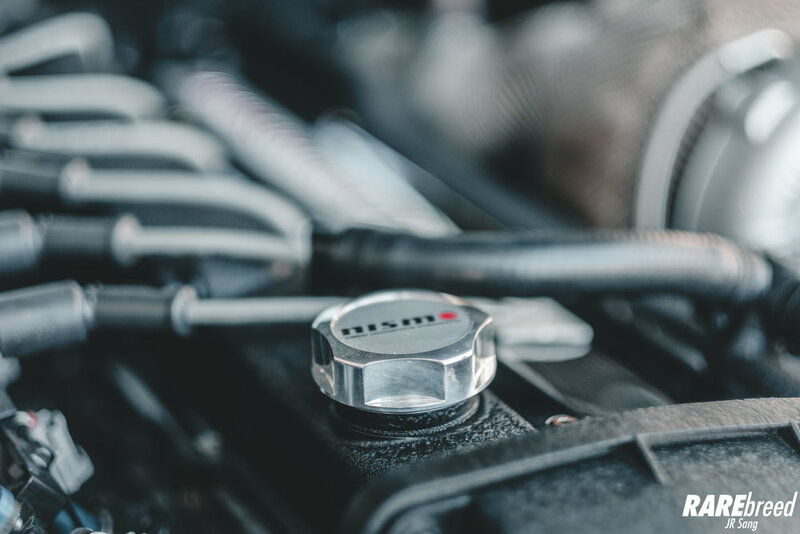 Although having an OEM+ style on the exterior, under the hood is another story. This S14 is swapped with a RB25DET NEO paired with a Garrett GTX3076R set for 12 PSI of boost. The RB25DET details look so good!